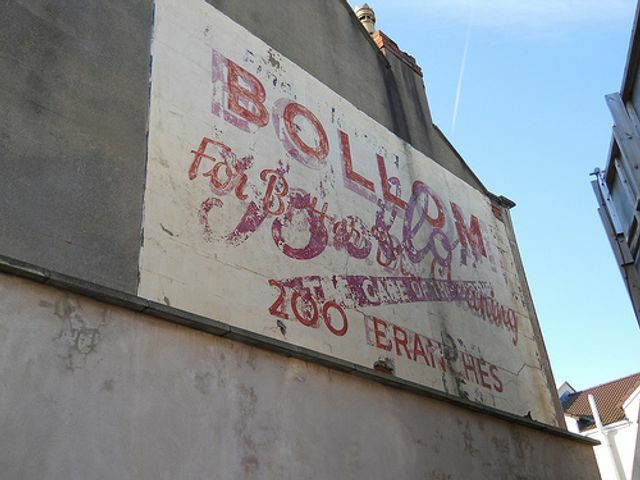 Artist resurrects "Ghost Signs" from our advertising past. Interesting to see the resurrection of old advertising as art. The cultural fondness of historic signs painted directly on to brick walls really shows the lasting impact and significance advertising has. I wonder which adverts from our modern era have the potential to be resurrected in years to come. There’s an element of archaeology to them,” he says. “I’m trying to find historical references of what these signs looked like. You can only see little bits and parts of them [now]. I use light to fill in the bits and blanks.